Drake thanks Nigerian Pop stars for inspirations on his Scorpion album – Royal Times of Nigeria. 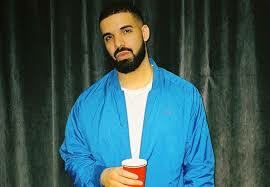 Drake acknowledges Wizkid and Tekno as inspirations for his album, ”Scorpion” which was released in the early hours of today. In a post on his Instagram story, the international star thanked the duo for inspiring his studio drive. In “Scorpion”, Drake confirmed the long-rumored news that he fathered a child with French former adult-film star Sophie Brussaux. Rumors regarding Drake’s son re-emerged last month when Pusha T released a diss track called “The Story of Adidon,” in which he alleged Drake had a secret love child he was keeping under wraps and refused to acknowledge. Aside from the big baby news, Drake also samples Micheal Jackson on the track “Don’t Matter to Me” which report gathered is unreleased music from the King of Pop.